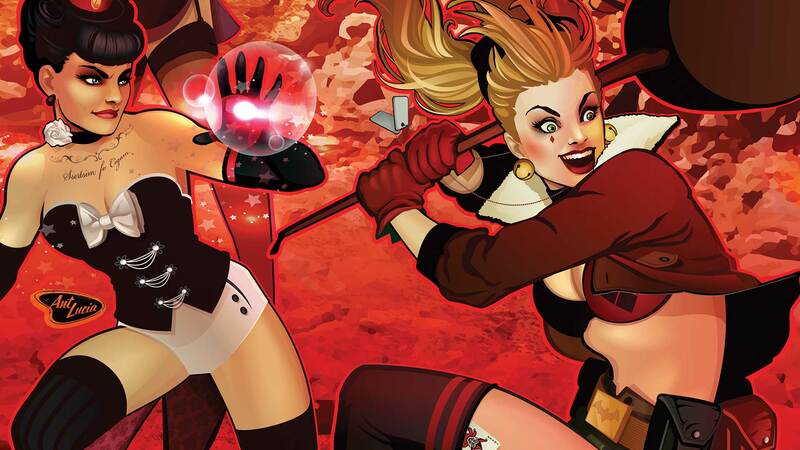 Led by Batwoman and Renee Montoya, a rebel group is formed: Harley Quinn, Poison Ivy, Zatanna and Constantine, Raven, Catwoman, and the Huntress! As they make a run for it to the coast, they become surrounded—it’s a trap! Someone in the rebel group is a traitor, but who? And why? Find out here!